Also, the connection with the audience is no longer an imagined one. 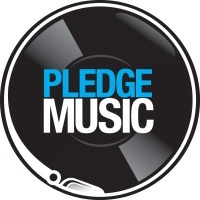 The support from the pledgers comes at a critical time, when an artist needs to be especially motivated, positive and strong - that is to say, during the creation period (I think touring is much less demanding than composing). And these days, writing and recording is a really tricky project to manage. You need months focussed on inventing great music. On top of that, its got to be up to the standard that demanding listeners expect! Without the budget for the equipment, time and resources - not to mention food and drink, I don't know how anyone expects new music to happen! Thats why I think the fan-funding model is a really good idea, all round. And for this project, you've made Renoise a big part of your working process. What attracted you to Renoise? Well, like many others from my generation, I started getting really seriously productive on my Amiga using ProTracker. Back then, we traded floppies by mail, this radical idea of a software sound sequencer, from the people for the people. PT2.0 just popped through my letterbox one day - no user guide and plenty of vibe! I was hooked straight away. I waited for almost 20 years before someone built on that amazing legacy, and did it properly. So when I installed Renoise back in January 2009, man, I was hyper excited. Proper back to the future trip. For what aspects of production do you use Renoise? I stopped making music with trackers around my 5th album (All Music Has Come To An End on Tresor Berlin)... I went off and studied synthesis, mixing and modular thinking which led over many years to an object-oriented approach to composition and sound design. So, a big part of my compositional thinking happens in realtime code, using the Kyma music language. I see Renoise as more similar to a procedural kind of paradigm, sound events which are scheduled to happen on a clocked linear timeline. On the other hand, Kyma, SuperCollider and Max/MSP are more object-oriented where all manner of music objects can be invented, can exist simultaneously and exchange messages. Basically, as some coders will tell you, a creator needs to be down with different approaches to design, in order to reach a good solution to a problem. In the context of computer music, the problem is compositional, and the solution is the sound of the finished piece. So I use Renoise to arrange audio files and decide where to fix them in place on a quantised linear timeline. In other words, placing samples on ticks, patterns of samples in a sequence and so on. I also use Renoise for producing sound design elements, like rendered wavetables or audio prints for further manipulation in Kyma. How do you perform live at the moment? Have you managed to work Renoise into it somehow? I use Kyma live, a sound I have been developing for about 6 years called "The NeverEngine" with which I can improvise techno in realtime. I use some sounds from Renoise sketches, as source in there. I am considering presenting the new album live in Renoise, as its less about improvisation... Stay tuned for that! Certainly will, that sounds very exciting. Any particular feature requests for us devs? Well, the new 2.8 beta has pretty much got it all covered. You guys are doing a great job! Thanks for the nice words! What about Kyma, how did you get into that, and what does it give you that similar tools don't? I needed to push past a kind of "modular" way of thinking, so that's how I got into it. It's a difficult learning curve though, I had to dedicate a number of years to reach the deeper levels of what's possible. Which has been great fun! Do you work mainly with software these days, or does hardware feature to some extent? What technology have you used throughout the years, and what's been your favourites? 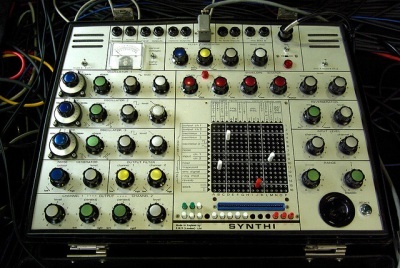 I loved the EMS Synthi, sadly had to sell it off. I love the colours of analogue processing equipment, especially at the mastering stage. It's another universe of sonics, and they combine well with digital sounds. What was your involvement with the film Enter The Void from a couple of years ago? Cool movie. They used a track I made in 1993, Cancion Sintetica in all the club scenes. Thomas Bangalter used some of my more up-to-date sound design amongst the layers of that incredible 2 hour sound mix that accompanies the film from beginning to end. So it was more a case of them using your work after the fact than you being actively involved in shaping the soundtrack? Yes, Gaspar No&eacute; (the director) wanted that track specifically. Just goes to show how you can never predict what will happen in the future with the tunes you make now, so make them robust enough for the long term! 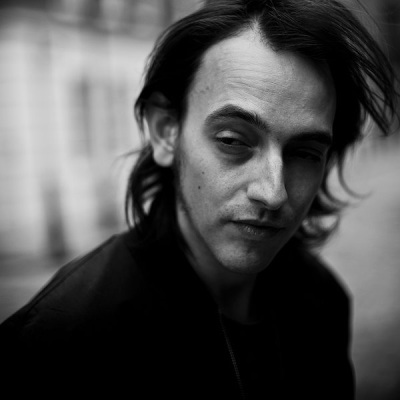 To finish off with, who would you say have been your biggest musical influences? It's so tricky to say definitively, but I'll just drop a few... Howlin Wolf, Rhythm & Sound, Talking Heads, Drexciya, Charlie Parker, Bo Diddley, ...And You Will Know Us By The Trail Of Dead, Burial, AtomTM, Tod Dockstader, The Young Gods, Night Of The Brain, Fog, Black Dice, Tortoise, Sonic Youth... Well, you get the idea - all the mavericks! I can remember when I heard Specific Momentific (1996), first time I thought about techno in the same terms as classical music Cristian, you are a true visionary!! i hope this will reach the 100%. i want the renoise files ;-) i remember some great sets in the late nineties. please plege the rest to realise his new vision.